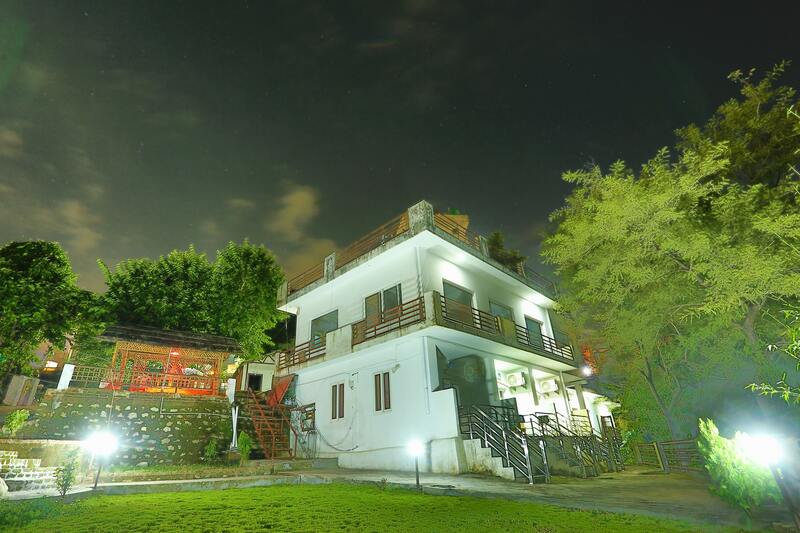 Raj Resort is one of the best hotels in Rishikesh for a peaceful yet affordable stay. 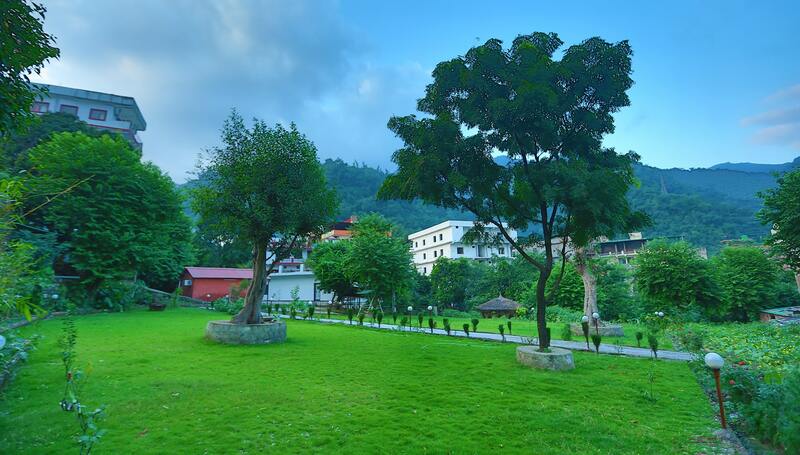 Nestled below the foothills of the Himalayas in extensive gardens complete with trees, flowers and a bubbling river, the resort provides an oasis of peace away from the hustle and bustle of the holy city of Rishikesh. Located in Tapovan, the hotel is just a short walk away from the River Ganges and the famous Laxman Jhula area, where there are many cafés, shops and attractions. After a full day of exploring, return to your spacious and well-equipped room, many with balcony views of the mountains and forests, or sip chai in the pretty gardens or our onsite restaurant. At Raj Resort Rishikesh, we want you to feel at home. Choose from Indian cuisine, western favourites or healthy yogic meals in our cosy onsite restaurant. You’ll be surrounded by tranquil forests, gardens and nature. Read a book or take your breakfast at one of our scenic seating areas. Daily drop in classes at Raj Yoga Rishikesh (Rys 200) - Our Residential Yoga School in Rishikesh Registered with Yoga Alliance. Free Wi-Fi for staying connected with loved ones. We offer a variety of rooms for travellers of every budget. Spaciously designed, our rooms feature attached bathrooms with hot showers, comfortable beds and a picturesque balcony or terrace area, each with a garden or mountain view. Our standard rooms are perfect for travellers seeking affordable Rishikesh accomodation. Thoughtfully designed with space-saving furniture, comfortable beds and attached private bathroom with hot shower, plus satellite television, room service, sitting area and a balcony or terrace to relax on. Set in our picturesque gardens, the Cottage Rooms can accommodate two adults comfortably. Featuring all the amenities of the main lodge resort, guests in the Cottage Rooms can enjoy a peaceful stay amongst nature. For guests looking for an extra special stay in Rishikesh, our stylish Deluxe Room features a King Size bed with premium bedding and AC, plus all the amenities of our Standard Rooms. Relax in your private seating area or take in the view from your balcony or terrace. Are you ready for Yoga Teacher Training ?